Wind energy is the only source of energy that requires no water to generate power. All other sources require water during operation or maintenance. This is an added advantage for a country like India which is plagued by water shortage. The wind energy potential of India has recently been upgraded to 302 GW by the National Institute of Wind Energy (NIWE). However, the total installed capacity of the country stands at only 24 GW. This means there is huge scope for expansion of the wind energy sector. NIWE estimates the potential of wind energy potential according to three different hub heights—50 m, 80 m and 100 m. According to their recent assessment for 100 m hub height, Gujarat, Karnataka and Maharashtra have the highest potential. The quality of the recent assessment (100 m) is higher than that of the previous assessment (50 m). Even though Gujarat has the highest potential in India (84 GW), the installed capacity of the state remains low (3.8 GW). Tamil Nadu, on the other hand, has the highest installed capacity (7.5 GW). This is nearly one third of the country’s capacity. 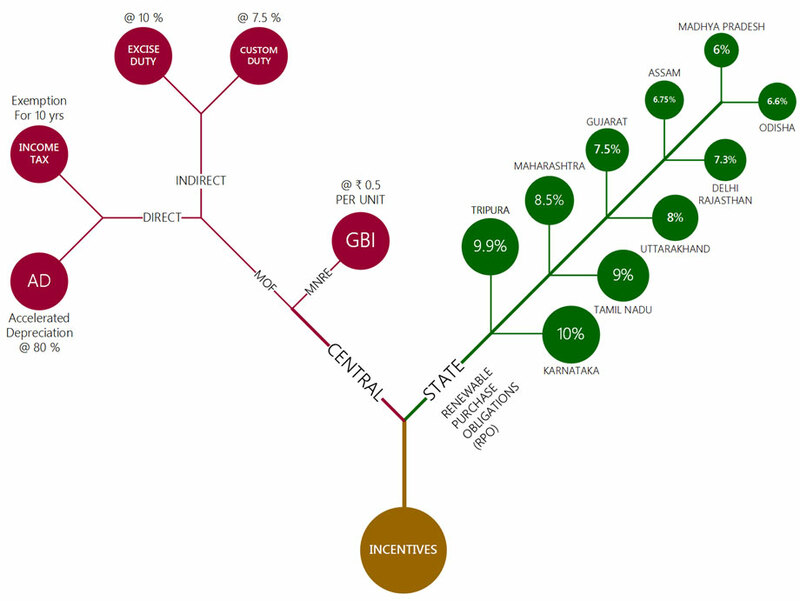 Among southern states, Kerala has the least installed capacity (35 MW). India began its wind power journey in the early nineties. Since then, India has witnessed steady growth. China, however, began its journey after India in 1995. It was trailing for more than 10 years until it overtook India in 2008, when its capacity doubled every year in 2006, 2007 and 2008. Currently, China’s capacity is five times bigger than India’s. 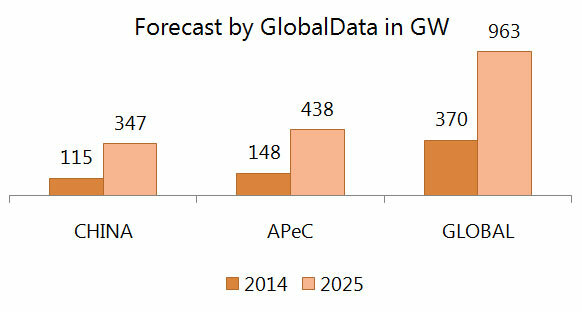 Global forecasts show China will reach 347 GW of installed capacity by 2025. India is also expected to have aggressive growth in the sector and will drive majority of the growth in wind energy in the Asia-Pacific, excluding China (APeC). 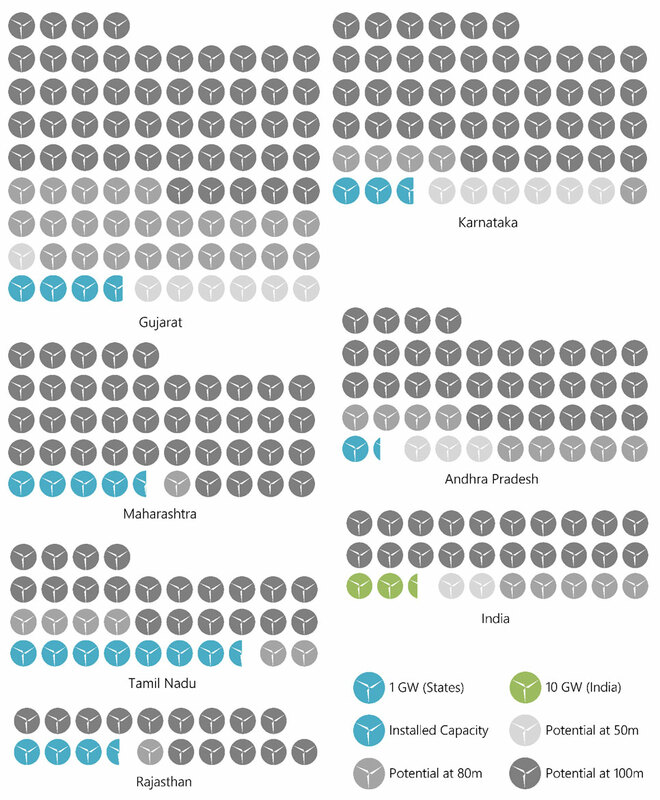 India is expected to commission 9.2 GW between 2015 and 2017. The reason behind India’s expected growth is reintroduction of government schemes, generation-based incentive and accelerated depreciation. Wind power tariffs vary across states and depend on several factors like wind power density (WPD), commissioning period and the benefit of accelerated depreciation. The Central Electricity Regulatory Commission (CERC) classifies wind tariff based on WPD of the project. The dominant trend is that if an area has high WPD, then the tariff is low because it can generate more power than low-WPD sites. A similar classification has also been adopted by Maharashtra Electricity Regulatory Commission (MERC). States like Tamil Nadu, Rajasthan and Andhra Pradesh have fixed tariffs on the basis of the commissioning period of the project. 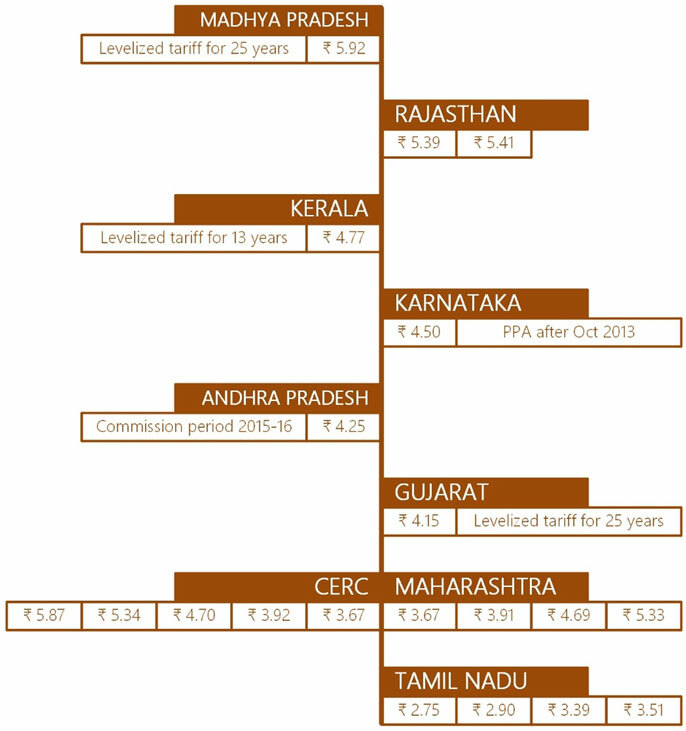 A few state commissions have set a levelised tariff for the next 25 years without any escalation. Madhya Pradesh and Gujarat fall under this category. Wind power incentives are disbursed at both the state and Central levels. Different state governments make the purchase of renewable energy obligatory by issuing Renewable Purchase Obligations (RPO) to DISCOMs. The DISCOMs can fulfill these obligations by generating their own renewable energy or resort to renewable energy generators to purchase a renewable energy certificate (REC). When a renewable energy generator generates 1 MWh of energy and sells it to the grid at the conventional power tariff, the generator receives an REC. 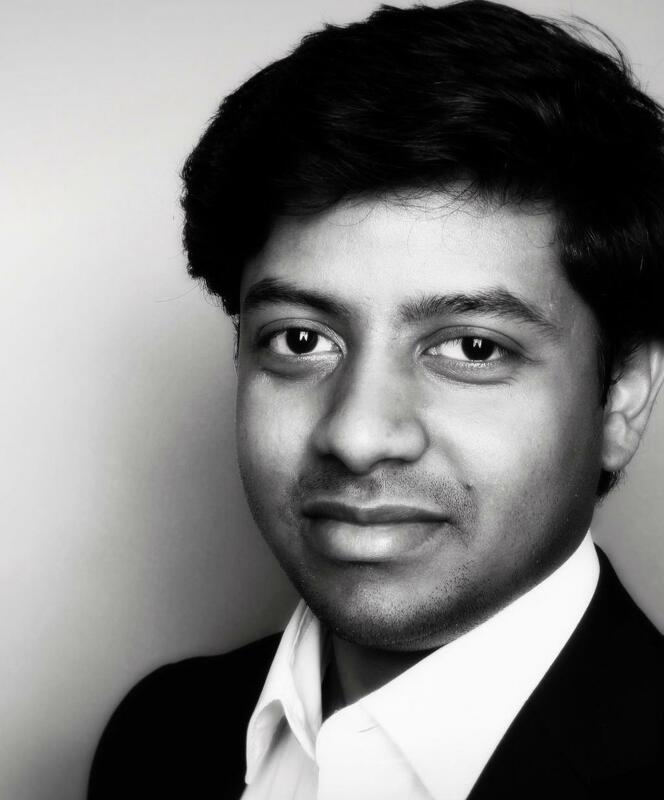 It can then be sold to entities who need to meet their renewable purchase obligations (RPO). The RPO of Karnataka is highest in the country, making the purchase of 10 per cent of generated power from renewable sources obligatory. Karnataka has made it obligatory for only two of its electricity supply companies (BESCOM and MESCOM). Haryana, Chhattisgarh and Meghalaya have low obligations with 2.75 per cent, 2.5 per cent and 1.09 per cent respectively. Central incentives are provided by two ministries—Ministry of New and Renewable Energy (MNRE) and Ministry of Finance (MoF). The MNRE provides generation-based incentive (GBI) to wind power producers at Rs 0.5 per unit of electricity fed into the grid for a period of not less than 4 years and a maximum period of 10 years with a cap of Rs 1 crore per MW. With GBI, investors will receive Rs 0.5 per unit of electricty generated over 10 years, in addition to tariff determined by state regulatory commissions. The MoF provides accelerated depreciation (AD) at 80 per cent of the value of wind power equipment during the first year of project operation. Under AD, an asset loses its value at a rate faster than normal. This method provides greater deductions in the earlier years of the project and minimises the taxable income. Companies can avail of either AD or GBI, but not both.